The programs for children at Warrior Concepts International are not simply adult programs delivered for children, they are designed to offer your child the lessons that he or she needs to be safe and successful in Today's world. ...built our programs from the ground up with a perfect blend of educational curriculum and fun. Your child will have fun, while learning the important lessons they need. You'll feel great knowing that your child is learning the important lessons while they're having fun. Isn't that a perfect balance?! Depending on your child's age, he or she has certain needs that are as different from other age groups as they are from those of adults. Our programs are age-specific. 4. Their primary threat level when it comes to facing danger in the world. At Warrior Concepts, we have two unique programs for children. To get information about these powerful and empowering children's programs, click on the link that best reflects your child's age right now. This is a unique "Stranger-Danger" program that combines child safety with lessons to improve your childs socializion, coordination, and manner skills. Also known as our "Strong-Kid/Safe-KidProgram, combines self-defense, lessons for dealing with bullies, and increasing your child's level of respect, self-discipline, and confidence. 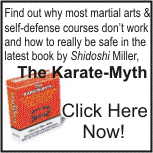 Subscribe to the Warrior Concepts Self-Defense Newsletter and stay informed. Every issue provides free articles, tips, and resources for increasing your knowledge and your child's safety. If you only subscribe to one online newsletter, THIS one must it. Simply use the easy form below and start receiving all of the extra benefits only enjoyed by subscribers and members of WCI!